December 14, 2018 – Advocates for the West filed our opening brief in this case, holding the Forest Service accountable for decades-long ESA violations in not addressing the adverse impacts of public land dam diversions on salmon and steelhead. January 29th, 2018 – Advocates for the West filed suit against the Forest Service for failing to protect Idaho’s salmon and steelhead populations from irrigation diversion dams in the Sawtooth National Forest. 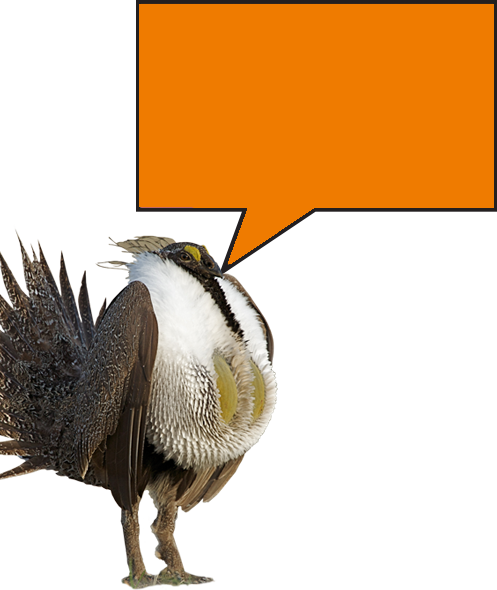 March 13, 2017 – Advocates for the West sent the Forest Service a notice of intent to sue for violating the Endangered Species Act by authorizing 23 existing irrigation diversions and ditches in Idaho’s Sawtooth Valley without addressing long-standing adverse impacts to fish. The Sawtooth Valley watershed is part of central Idaho’s Upper Salmon River basin and includes the headwaters of the Salmon River, or “River of No Return”. The Sawtooth Valley contains some of the most important habitat in the United States for threatened and endangered Chinook salmon, sockeye salmon, steelhead, and bull trout. Chinook and sockeye salmon, and steelhead, are anadromous fish that are born in fresh water, including the mountains of central Idaho. As juvenile fish, they migrate down the Salmon, Snake, and Columbia rivers to the Pacific Ocean. After feeding and maturing in the ocean, they migrate upstream, back to where they were born to spawn (lay eggs) and die. Redfish Lake’s sockeye salmon are the southern-most population of sockeye in the world. 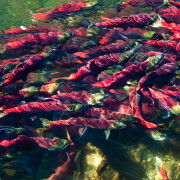 They travel a greater distance–approximately 900 miles from the ocean to the Sawtooth Valley–than any other sockeye. They also spawn at a higher elevation–6,500 feet in Redfish Lake–than any other sockeye population. Bull trout (historically called “Dolly Varden”) are a species of char with unusually large head and mouth for salmonids, hence the name. Bull trout live in cold, clear coastal and high mountain rivers of northwestern North America, including streams throughout the Sawtooth Valley. Due to large dams on the Columbia and Snake Rivers, water diversions in the Salmon River basin, and other human impacts, each of these species suffered major population declines and are now protected under the Endangered Species Act. Improving streamflows and protecting riparian habitat in the Sawtooth Valley is crucial to helping these fish species recover and persist, particularly in light of global warming, which is expected to exacerbate the low flows and high water temperatures fish already face. How Do Irrigation Diversions Harm Fish? Old-fashioned irrigation diversions and ditches harm fish and degrade streams in multiple ways. Crudely constructed diversions (typically made of metal, wood, or rocks) may span the entire stream width, blocking fish from passing up or downstream, which prevents essential fish migration. Fish can also be “entrained” (or sucked) into ditches where they cannot escape and they ultimately perish. And because irrigation diversions remove water from streams, they cause diminished flows and increased water temperatures below the diversion–sometimes completely dewatering (or drying up) streams or raising temperatures to lethal levels. What Can Be Done About Harmful Diversions? Today, some diversions in the Upper Salmon River basin have been consolidated, upgraded, and modernized to remove fish passage barriers and increase streamflows. Many diversions now have fish screens to prevent fish entrainment, and have headgates and measuring devices that allow irrigators to be precise and prevent diverting too much water. Furthermore, minimum in-stream flows have been established to help fish in some stream reaches to ensure enough water for fish. In the Sawtooth Valley, numerous outdated diversions are still in place and need to be modernized to reduce impacts to fish. This includes the 23 diversions and ditches identified in our notice of intent to sue. These diversions are located on the Sawtooth National Forest and were constructed and are now operated and maintained by irrigators who use the water on nearby private land. By the year 2000, the Forest Service recognized that these 23 diversions and ditches were harming fish. But the Forest Service has continued to authorize the diversions without requiring needed upgrades and improvements.